Beers with Talos is a fast-paced, smart, and humorous podcast focused on security research topics. Staying abreast of security topics is difficult in this rapidly evolving threat landscape. 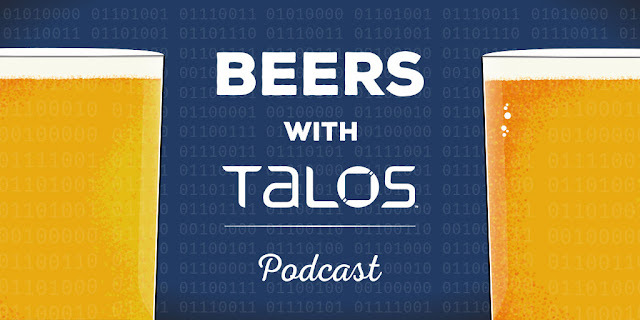 Beers with Talos serves important security stories in a way that is understandable, engaging, and fun to researchers, executives, and security n00bs alike. Better late than never? On top of being distributed all around the planet this week, we had some technical issues with our recording platform that created a nice audio jigsaw puzzle to solve. Matt’s audio remained a challenge; it is rough this week. Bear with us, the audio quality will be back to what you have come to expect next episode. If you would like to speak to the manager, please hold. The last several years have seen a continuing surge in booters, DDOS, and combined exploit campaigns for-hire coming out of Asia and other regions. What does this tell us about the continued “professionalization” of the cyber criminal enterprise? What happens now that the playing field is leveled and launching these attacks requires nothing more than a few hundred USD in cryptocurrency? 16:13 - Booters, DDOS, and Combo Exploits, oh my! 58:15 - Parting shots - How to win Powerball with this one weird timezone trick!